Until today, I had no idea Yahoo Messenger even existed. But it most certainly exists, and if you happen to use it, you might be excited to learn you can now send video. The iOS and Android apps now support sending video, up to one minute long, in both one-on-one and group conversations. Yahoo Messenger is pretty much your average messaging client, but there are some neat features. You can "unsend" messages and media in a conversation, it supports Google TalkBack, and there's even a native client for Windows and Mac. Which Hangouts still doesn't have, after all these years. It's easy to laugh at Yahoo. Other tech brands like Google, Amazon, Apple, and Microsoft have grown in prominence over the last ten years. But rather than improve, Yahoo has mostly just continued. It's still a giant presence. Millions of people use its services. It just doesn't grab headlines like the competition. Well, Yahoo has now re-released one of its most widely known properties, Yahoo Messenger. 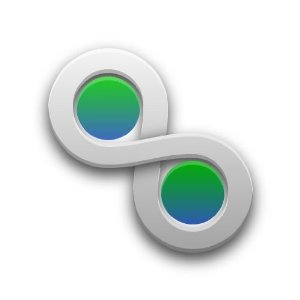 While Trillian is no longer my client of choice on the desktop (Digsby took that spot), I must say that if you're looking for a great multi-network IM client on Android, it's hard to go wrong with this [normally $4.99] offering from Cerulean Studios.